As Vice President, Human Resources, Susan Edwards is responsible for all Human Resource functions and operations worldwide for Sealed Air. Susan leads a global HR team supporting the business through the design and execution of employee and labor relations, organizational effectiveness, talent management, compensation, benefits, learning & development, talent acquisition and business partnering. 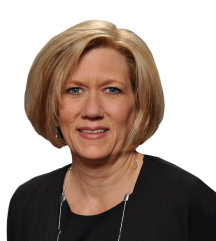 Susan joined Sealed Air in 2011 as the Global HR Business Partner for the Food Care Division. Throughout her career she has held numerous leadership roles for several global corporations including Snap-on Inc., a $2.8 billion distributor of professional tools, equipment and diagnostics where she served as Vice President of Rapid Continuous Improvement (RCI) leading global lean manufacturing and business process improvement. More recently, at CIRCOR International, Susan was responsible for the strategic HR leadership across 12 business units in the U.S., Netherlands, Germany, U.K., and India. Previously she held multiple HR and supply chain leadership roles in the automotive industry. She received her MBA in International Business from Marquette University and earned her bachelor's degree in Human Resource Management from East Tennessee State University. Susan has held several volunteer and leadership roles over her career with a variety of local, regional and national organizations.